Thanks to the luck of the Irish, St. Patrick’s Day falls on a weekend, which gives us plenty of time to enjoy one of our favorite holidays in the city! From parades to pub crawls, San Francisco hosts some of the best events in celebration of St. Patrick, so grab a pint and something green and let the festivities begin! The Royal Exchange’s Annual St. Patrick’s Day Block Party – In its 33rd year, the Royal Exchange extends an invitation to their annual block party on Friday, March 16. Set in front of the bar and Harrington’s Bar & Grill in the Financial District, enjoy traditional Irish fare like Corned Beef and Cabbage and Shepherd’s Pie, live music from the Wonder Bread 5, and lots and lots of Guinness. The block party is free to attend and begins at 3pm. San Francisco St. Patrick’s Day Pub Crawl – It wouldn’t be St. Patrick’s Day without a good pub crawl! Crawl SF is hosting a two-day massive pub crawl which will include awesome drink specials at several spots including McTeague’s Saloon, Lush Lounge, Blur Bar and Lounge, Vertigo Bar, and more. 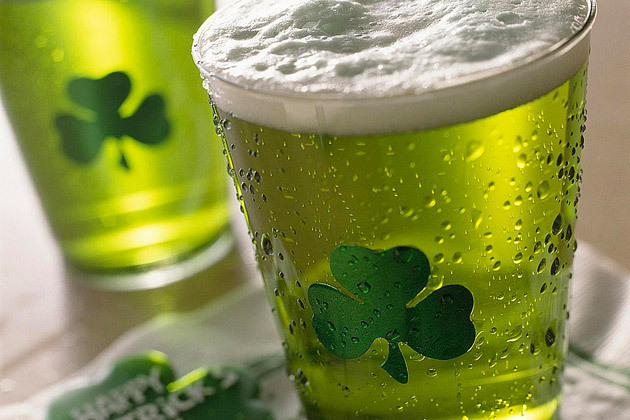 Get ready for all the green beer, cocktails, and shots you can drink! Tickets start at $12. Festivities will take place on March 16 and 17 from 6-9pm, with check-in at Mayes Oyster House. Tickets can be purchased here. 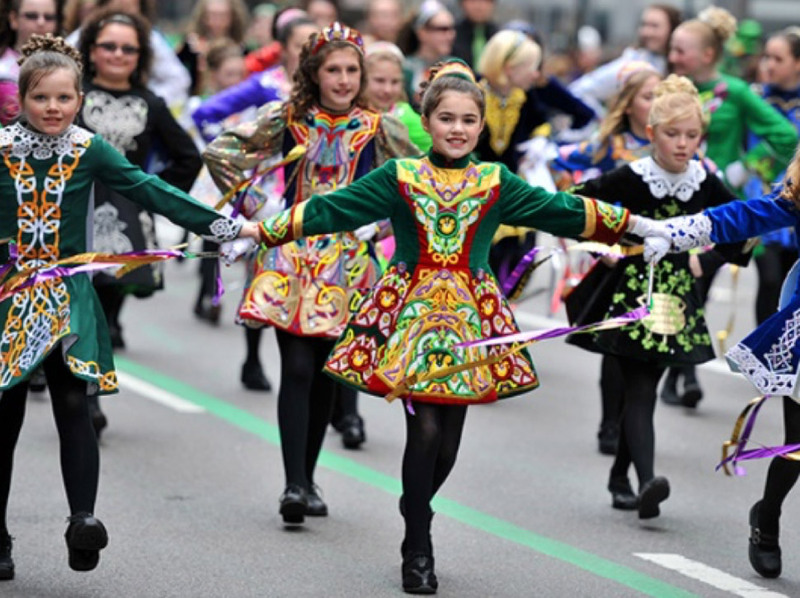 San Francisco’s 167th Annual Saint Patrick’s Day Parade & Festival – If an event has been around for over a century, you know you’re going to have a memorable time! The Saint Patrick’s Day Parade, hosted by The United Irish Societies, is beloved and attended by both locals and San Francisco visitors alike. The parade begins at 2nd and Market streets, where participants will head straight down to Civic Center Plaza near San Francisco City Hall, where the festival takes place. Open to all ages, the festival includes lively Irish music and dancing, learning more about Irish history and culture, and a never-ending flow of beer. Parade begins at 11:30pm on Saturday, March 17. St. Patrick’s Day Dog Parade – Grab your Irish Setters, Irish Terriers, and Irish Spaniels and head down to the Marina for a parade that’s sure to make you smile! 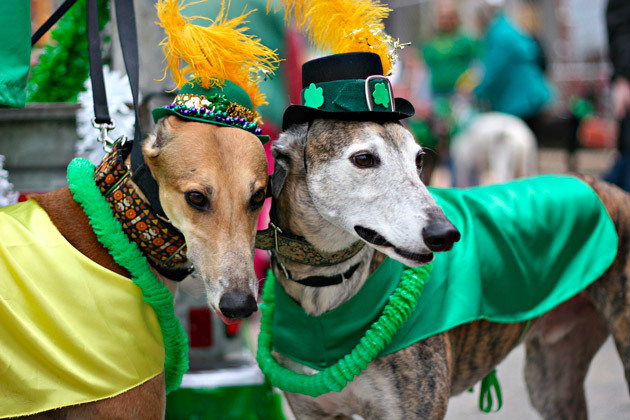 Appropriately held at Patrick’s Park, the dog parade takes place between 1-4pm on Saturday, March 17. All dogs are welcome to attend and dress up in their cutest costumes. A costume contest will also take place so be sure to dress to impress!